You’re all in luck. 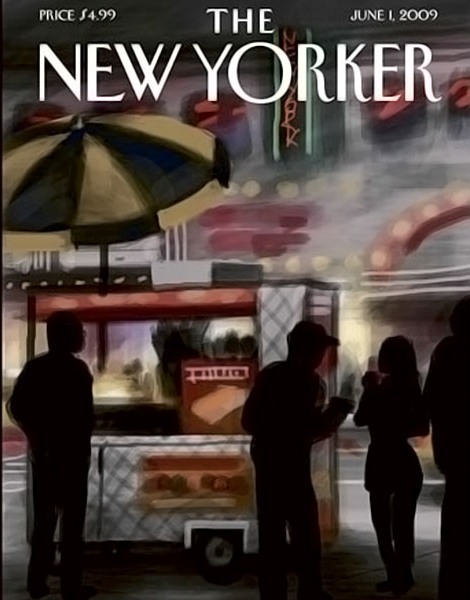 Today’s issue of The New Yorker features a very fine article by the excellent writer Nicholson Baker on the Amazon Kindle. Titled “A New Page: Can the Kindle Really Improve on the Book?”, this article is certainly the best-written I’ve seen yet on this overly- and endlessly-discussed subject, as well as the funniest. I could offer you excellent excerpts and some analysis: I suggest you just read it and ponder. All comments most welcome. And a remnider that I’ve covered Kindle developments with skeptical amusement for some time. You can find my blog posts on the topic by searching “kindle” and clicking on “Blog” from any page on the site. My favorite remains my link to the McSweeney piece on Jeff Bezos’ Kindle monologue. Second best: Oprah gushing about the Kindle as her new “new favorite favorite thing in the world” (also noted by Baker). Follow-up: On July 29th The NewYorker offered an “Ask the Author Live” with Nicholson Baker, which fleshes out some of the points he made in the article. Also an amusing blog entry on the New York magazine site speculates as to how much Baker or The New Yorker paid for the hardware and the expensive eBooks Baker describes. I had pondered the same question about the expenses he must have run up, but he clarifies the whole thing in the comments section of the entry. I don’t watch television so have to rely on surfing the Web to find fun things that are broadcast on TV. Seems a bit roundabout, no? At any rate, I caught this fun snippet of Kevin Spacey explaining Twitter to David Letterman, and offering some advice on the etiquette of tweeting. Meanwhile the New York Times reported today that Twitter has published “Twitter 101,” a guide directed specifically at businesses, offering advice on how to get value by tweeting. You can read it on the Web, download a 14-page PDF slide deck (“Whether you want to evangelize Twitter to your colleagues or present to a broader audience, you can give this a try…”),or create a version of the Web pages as a PDF for printing (I don’t recommend this…the resulting PDF is very badly formed and difficult to read). March 16, 2012: Corrected link and deletion. The video is kaput. Of course, if we translate the story into the world of traditional print book publishing the publisher would merely have withdrawn the book from sale and requested retailers to return unsold copies for credit. Amazon, of course has been suitably shamed and says it will never remove books from customer’s Kindles this way in the future (what else would it say, particularly until legal counsel has a chance to weigh in fully?). Anyone who reads this blog know that I’m not a big fan of the Kindle, nor of Amazon’s promotional efforts surrounding it. But surely this is a tempest in a teapot. Amazon will become more cautious in accepting uploads, and will issue recalls more gracefully in the future. Follow-up: An interesting post on Fiction Matters which casts the incident very much as a tale of the perils and pitfalls of DRM. And of course the inevitable lawsuit has now been launched. There’s something truly magical when you discover a phenomena that could be judged as very technologically small and yet becomes something very big (in the “real world”). Such an incident has occurred around Brushes, an iPhone/iPod Touch application that can create lovely illustrations, deep and emotional in nature, all for $4.99 on the Apple devices at the iTunes store (where I find that it is significantly outselling “Brushes [Never Going Back Again]” by Fleetwood Mac, available for a mere 99 cents). I first learned about Brushes while visiting New York in June. A colleague who works at a large publisher there happens also to have a significant talent as an artist and showed me several illustrations he had created while standing in line to get into a first-run film. He also directed me to The New Yorker. Brushes fame was assured when the June 1, 2009 cover of The New Yorker featured an atmospheric Brushes illustration by the amazing Jorge Colombo. I’m not certain whether The New Yorkerhas published any other Columbo covers since the first, but they’re clearly enamored of his work, as they now devote a regular online feature to it. Like so many software programs, Brushes does not appear to have been intended for the use that it’s now finding. The manual seems most enamored that you can create a little video that shows how your painting was created. There’s no information in the manual on how to convert your Brushes image into something that can be printed on the cover of a magazine with a 1 million circulation! What fun…may the technology business spawn a hundred more Brushes! 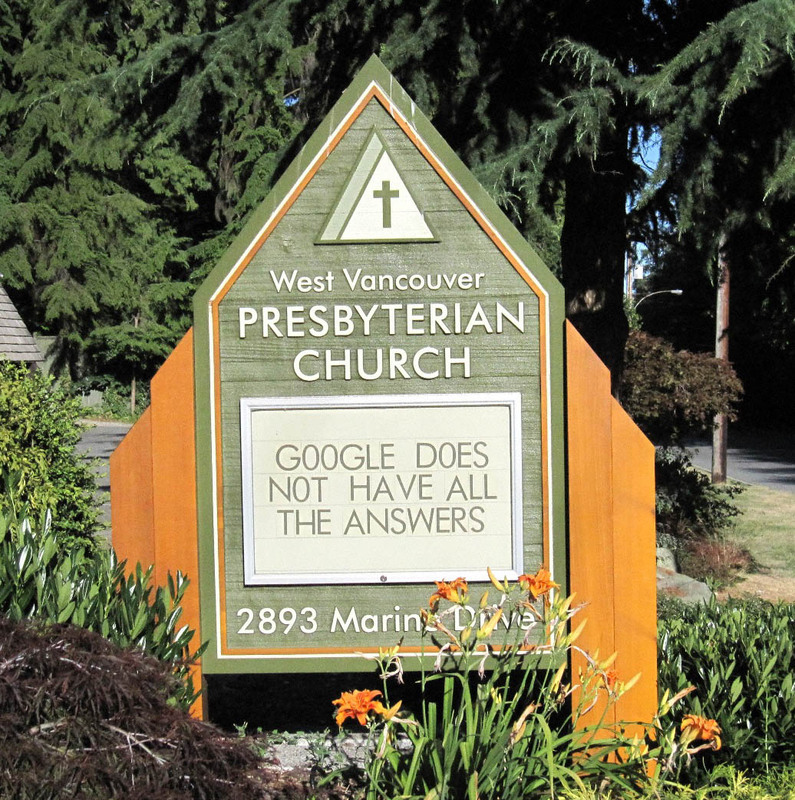 The Presbyterian Church Weighs in on Google! 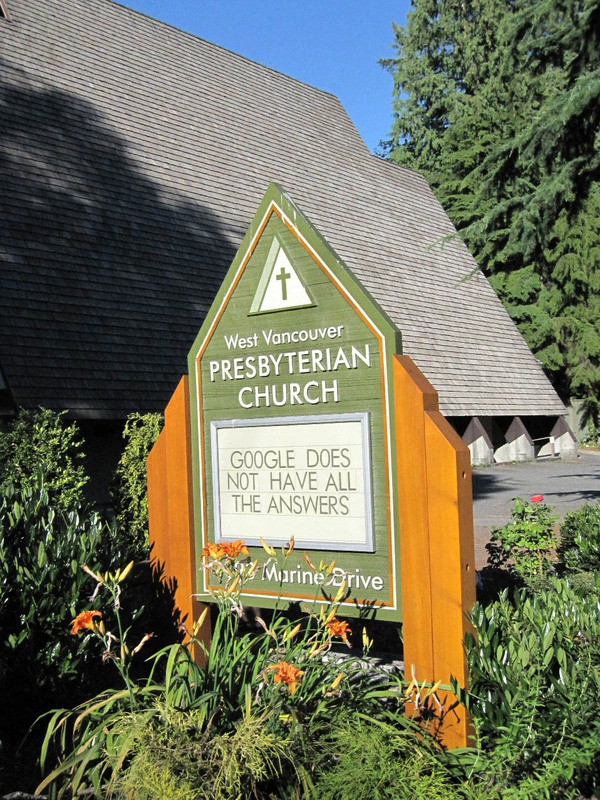 Two photos of the sign at my local Presbyterian church…I caught a glimpse going by on the bus, and had to walk back to record this deep and thoughtful cautionary note for the digital age! If you’d like to use these images elsewhere, please be sure to reference: Copyright 2009 by Thad McIlroy and include the blog URL as the source. Thanks!